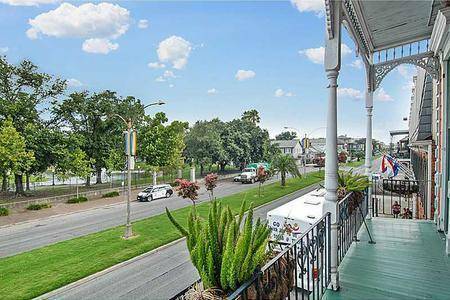 You’ll be welcomed with southern hospitality as soon as you step foot in the IHSP French Quarter House. 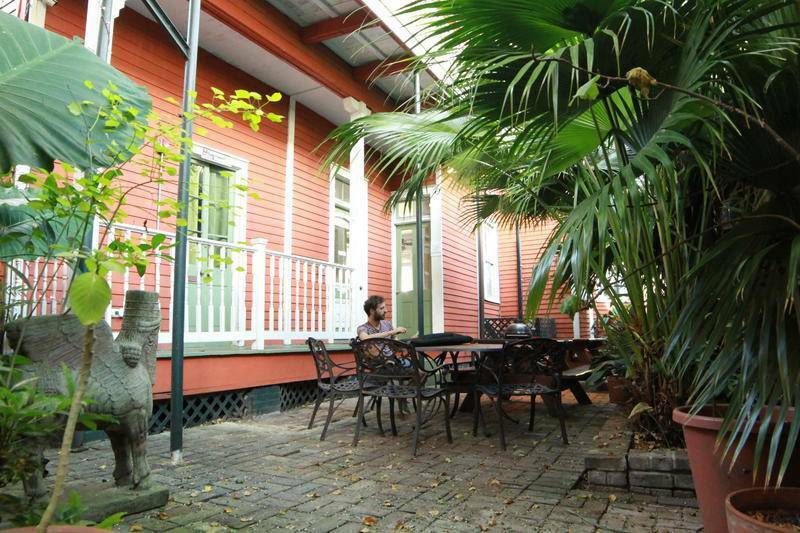 We are the only hostel located in the French Quarter, and are walking distance from jazz venues on Frenchman street and bars/restaurants along Bourbon. We have offerings for all sorts of travelers-whether that’s seeing many of the walkable historical landmarks or truly embracing the spirit of letting loose in the Big Easy. This property accepts both cash and major credit cards at the front desk and we have a $100 minimum on credit cards. There is an ATM available on-site. This property reserves the right to pre-authorize your card prior to arrival. 24 hour reception daily. If you are arriving after 23:00, please notify the property in advance. A non-US passport, valid student ID, active military ID, and a non-Louisiana Drivers License with valid credit card is required to check in to the 12-Bed Mixed Dormitory room. No children are allowed. All guests must be at least 18 years of age. All dorm guests must be at least 18 years of age. The 12-bed mixed dormitory has a maximum stay of 7 nights. All private rooms have a maximum stay of 14 nights. Please note that check-in and key collection take place at: 914 N. Rampart St., New Orleans, Louisiana 70116. Please inform IHSP French Quarter House of your expected arrival time in advance. POLICIES: This property accepts both cash and major credit cards at the front desk and there is a $100 minimum on credit cards. There is an ATM available on-site. This property reserves the right to pre-authorize your card prior to arrival. Check in from 14:00 to 23:00 . Check out before 11:00 24 hour reception daily. If you are arriving after 23:00, please notify the property in advance. At check-in, all guests must present a valid passport and proof of on-going travel. Guests must have a non-Louisiana ID to check in. Please note: this property allows 1 person per bed in the dorm room. No couples may share a bed. No children are allowed. All guests must be at least 18 years of age. All dorm guests must be at least 18 years of age. The 12-bed mixed dormitory has a maximum stay of 7 nights. All private rooms have a maximum stay of 14 nights. PLEASE NOTE: We have a strict 48 hour cancellation policy. Cancellations that occur within 48 hours of the arrival date will be charged the entire first night of the stay. Late Cancellations and No Shows will be charged the entire first nights stay. PLEASE NOTE: If your party has 10 or more individuals please contact us directly for your large group booking. Upon booking you will be sent an additional contract detailing policy changes towards payment, cancellation, and modification. This contract must be signed & returned within 14 days of initial booking date. ALL LARGE GROUP BOOKINGS MUST PAY IN FULL BEFORE ARRIVAL DATE. There can be no cancellation or modifications to a reservation 30 days before arrival. PLEASE NOTE: Any festival dates, including but not exclusive to: Voodoo Fest, Superbowl's, Final Four, Jazz Fest, Essence Fest, French Quarter Fest, Spring Break, All Star Games, Etc.--- will have a minimum stay requirement ranging from 2 to 4 days. Policies towards cancellation and modifications will be altered. The cancellation period for these festivals increases to 7 days. If you cancel within 7 days of your arrival you may be responsible for the full balance of your reservation--please contact the property in regards to your specific festival's policies. Additional contracts may apply for certain festivals. PLEASE NOTE: Any major holidays, including but not exclusive to: July Fourth, Labor Day, Halloween, New Years, Memorial Day--- will have a minimum stay requirement ranging from 2 to 4 days. Policies towards cancellation & modifications will be altered. The cancellation period for these holidays increases to 7 days. If you cancel within 7 days of your arrival you may be responsible for the full balance of your reservation--please contact the property in regards to your specific holiday's policies. Additional contracts may apply for certain holidays. 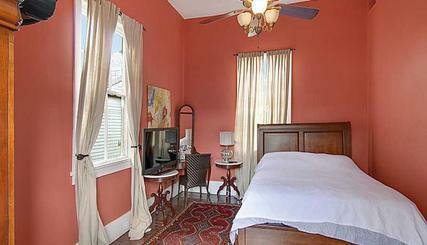 PLEASE NOTE: During Mardi Gras we have a 4 night minimum stay requirement. Upon booking you will be sent an additional contract detailing policy changes towards payment, cancellation, and modification. This contract must be signed & returned within 7 days of initial booking date. ALL MARDI GRAS BOOKING MUST BE PAID IN FULL BEFORE ARRIVAL DATE. There can be no cancellation or modifications to a reservation 30 days before arrival. Please note that check-in and key collection take place at: 914 N. Rampart St., New Orleans, Louisiana 70116. Guests are required to show a photo ID and credit card upon check-in. 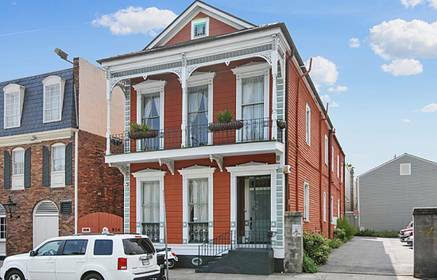 Please inform IHSP French Quarter House of your expected arrival time in advance. Once the deposit is taken the are ABSOLUTELY NO refunds. This property accepts only major credit cards at the front desk . There is an ATM available on-site. This property reserves the right to pre-authorize your card prior to arrival. A non-US passport or valid student ID is required to check in to the 12-Bed Mixed Dormitory room. If arriving by plane, take the Airport shuttle to the French Quarter Best Western, we are located next door. This property accepts both cash and major credit cards at the front desk. There is an ATM available on-site. This property reserves the right to pre-authorize your card prior to arrival.